One of the requirements for filing for and obtaining workers’ compensation benefits is that you must show that the injury was caused by something on the job. When you are injured in a traumatic accident—a machine breaks down or you slip and fall on a wet floor—it’s pretty easy to show that the injury is work-related. But what if you have a back injury that’s developed over time? What if you have a stroke or heart attack caused, at least in part, by stress from your job? 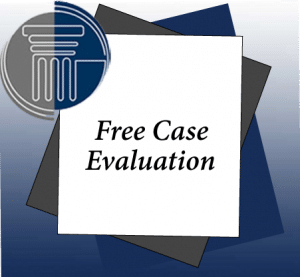 In those types of cases, it can be extremely difficult to establish the necessary causal link, but our attorneys have the skill, experience and fight to do so. Here’s an example. We represented the family of a man who died of a heart attack at work. According to testimony, he was alone in his office when he suffered the fatal cardiac arrest, so no one witnessed the incident and no one saw him immediately before he died. It would seem, therefore, that tying his death to his job would be difficult to impossible. We talked with his wife and family and gathered evidence about the work-related stress he had faced in the days and weeks prior to his death. We interviewed fellow employees, who also attested that he had been under substantial pressure in the time before his heart attack. We also brought in a medical professional, who provided the workers’ compensation judge with expert testimony linking the stress from the job to our client’s health condition. As a result, the workers’ compensation board awarded his wife death benefits. Don’t give up a claim just because it doesn’t appear to be work-related!